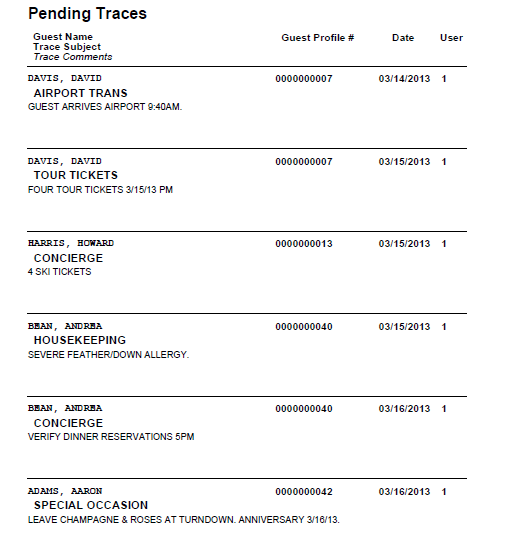 Use Trace Reports to print guest information and preferences or to track internal messages. This report prints traces for any date or date range for in-house guests, reservations, or inquiries with profiles. Create Traces within Guest Profile. Bring up the profile, select the Traces tab and click "Add Trace". 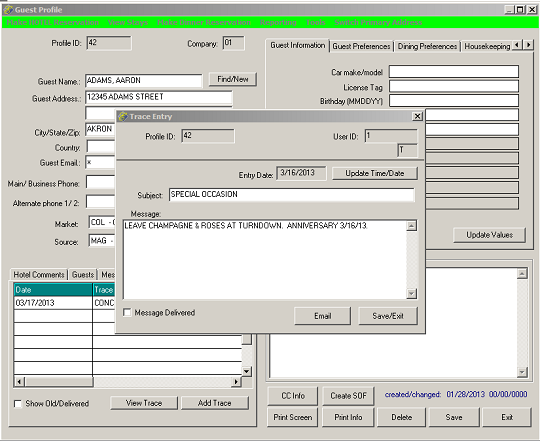 A Trace Entry window allows you to enter the subject and message. 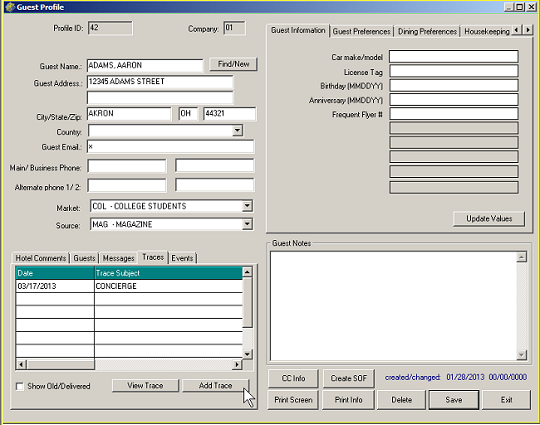 The subject is viewable from the main profiles screen and can be used for the subject of the trace or the department the trace is for, such as front desk or concierge. The default date is the current date. You can change the trace date by clicking "Update Trace Date". 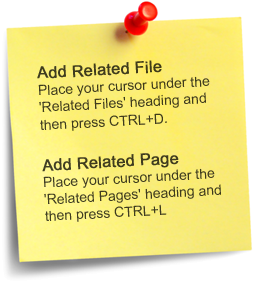 To print the Trace Report go to Front Desk > Print Guest Profile Traces/Preferences. At the pop-up select Daily Trace Report. At the next popup click Select Dates. 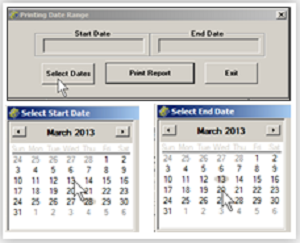 Enter the date range at the Start Date popup calendar and then End Date popup calendar. Following are three sample Trace Reports. To close a trace, bring up the guest profile, then the trace. Click "Message Delivered". For instructions on setting up Auto-Traces, see Auto-Trace Setup.